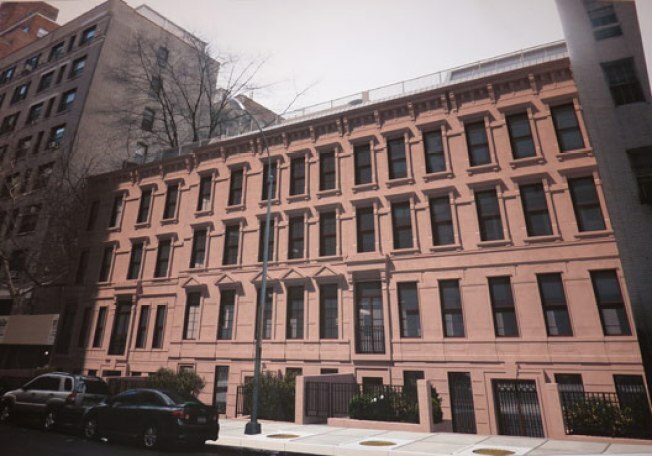 A developer's desire to play Pimp My Mansion with a row of historic Upper East Side townhouses at 110-120 East 76th Street met with some stiff resistance at a Landmarks Preservation Commission hearing back in January. Partial demolition on some of those decrepit townhouses is about to kick off, and with the design team due back at the LPC soon to campaign for turning the six buildings into three single-family homes (derided as "McMansions" by some critics), a new look is being unveiled. The above rendering is a preview of the latest version of the plan, which gives the mansions a more uniform vibe minus many of the exterior bells and whistles that the LPC probably wasn't feeling. We're not sure what's happened to the size of the proposed rooftop additions, but it looks like they're still a part of the plan.